Our one of a kind boho tassel earrings handmade with love. 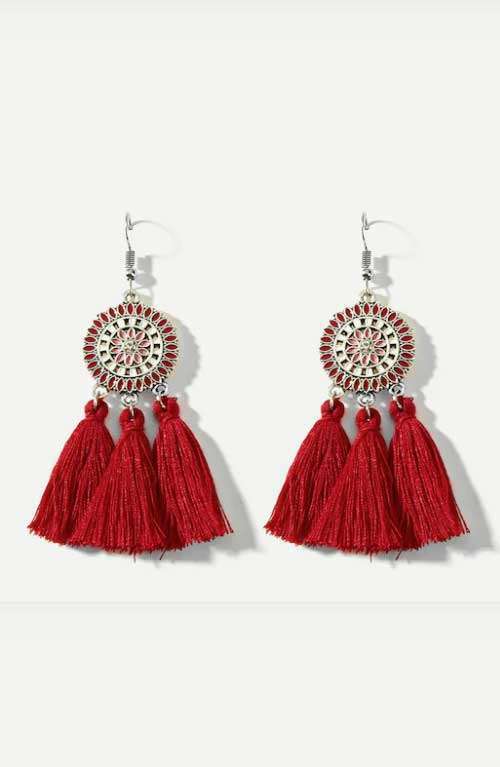 A unique pair of red tassel earrings handmade with love. 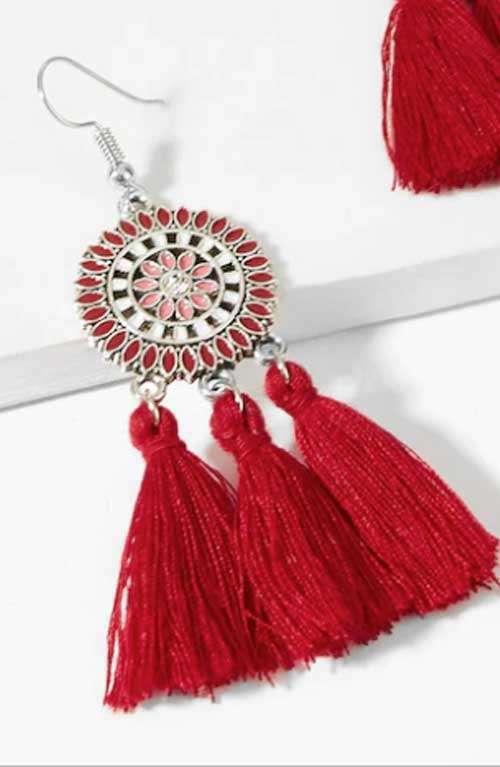 These bohemian earrings are made with red tassels and a round mandala pendant. These earrings are great for every day use, festivals or a night out. They are the perfect bohemian accessory.